An aquaponics system. Photo by Steve Patton, UK Ag Communications. LEXINGTON, Ky. (June 21, 2018) — The Kentucky Cooperative Extension Service is hosting two free programs for individuals interested in aquaponics in July. 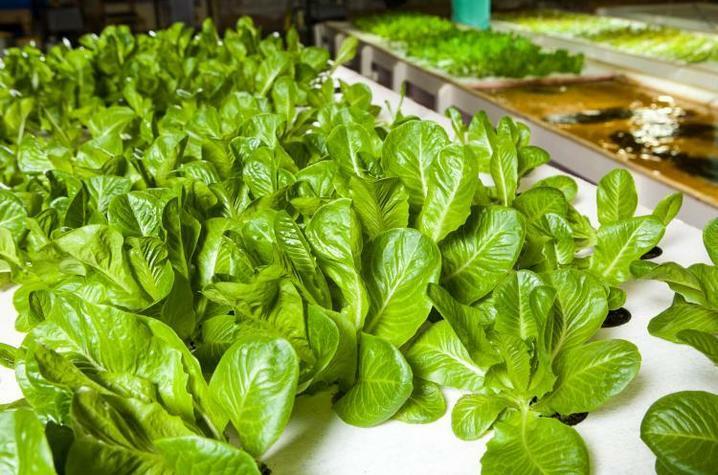 The first program is a workshop on July 20 that will provide basic information about aquaponics, a system in which fish and plants are grown together in a mutually beneficial environment. The event will begin 8 a.m. EDT, at Kentucky State University’s Aquaculture Research Center, in Frankfort. Participants will travel to Bluegrass Aquaponics in Versailles in the morning and return to the center in the afternoon for classroom sessions. Sessions will cover basic aquaponics, system and design, water quality and business planning. Transportation to Bluegrass Aquaponics will be provided. Lunch and refreshments are also provided. Saturday, July 21, extension specialists will host a free, hands-on workshop for those interested in starting their own backyard aquaponics system. The workshop begins 8 a.m., at the KSU Aquaculture Research Center. During this workshop, participants will build their own aquaponics system. Building materials are provided. Attendees should have a serious interest in operating a backyard system, have basic aquaponics knowledge and have a way to take the system home. The system measures 4 feet by 4 feet and weighs about 120 pounds. Participants should wear work boots, hats and long sleeves to this workshop. The KSU Aquaculture Research Center is located at 103 Athletic Road in Frankfort. Registration for the Friday workshop is limited to 50 people. Saturday’s workshop has a registration limit of 10. Register for the Friday program online at www.ksuaquaculture.org. Saturday’s registration is available at surveyplanet.com/SJ2zs6U-Q. Interested individuals can also contact Kathryn Mitchell at 502-597-6140 or kathryn.mitchell@kysu.edu to register.